(Austin) — Texas public schools could apply for additional money for pre-kindergarten programs as long as they agree to stricter accountability standards under a bill approved by the Senate on Thursday. HB 4, sponsored by Senator Donna Campbell of New Braunfels, would designate up to $130 million in new money for pre-kindergarten programs. Campbell was adamant that this measure was not an expansion of pre-kindergarten, as it is optional for districts and does not require full day programs. She said, however, it does improve standards for early education. "The purpose of this bill is to introduce oversight and accountability for the first time for the $1.5 billion that taxpayers already spend on pre-k every two years," she said. To qualify for grants under the bill, schools would have to ensure that pre-k programs align with existing state education standards and hire teachers that hold both a bachelor's degree as well as certification in early education. The state Commissioner of Education would evaluate the effectiveness of state pre-k programs and report that to the Legislature every two years. Parental engagement would also be encouraged, with districts required to develop written policies for getting parents more involved with their child's early education. The Senate made a number of changes to the bill before returning it to the House. It will be up to that chamber to either concur with Senate amendments to the bill or request a conference committee to resolve the differences between the two versions. Also this week, the Senate passed a bill that would limit municipal authority to regulate oil and gas production in their jurisdictions. 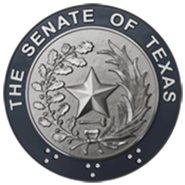 HB 40, sponsored by Horseshoe Bay Senator Troy Fraser, clarifies that the state is the ultimate authority in regulating the oil and gas industry, though cities would retain some power to regulate above ground elements of production. "House Bill 40, I would represent, is a very carefully crafted compromise between the TML [Texas Municipal League] and the oil and gas industry," Fraser said. Like the pre-k bill, this bill will now head back to the House where they will decide whether or not to concur in Senate changes. In committee this week, the Senate State Affairs Committee considered a bill to that would ban texting while driving. While Texas law already prohibits texting while driving for minors or while in a school zone, there is no statewide policy prohibiting the practice outside of those circumstances. HB 80 sponsor Senator Judith Zaffirini of Laredo told colleagues that driving and texting has caused more teen fatalities than drunk driving in recent years. She wants Texas to join 46 other states in making it illegal to text and drive. "Texting while driving is a hazardous behavior that endangers not only the bad actor but also others and it, too, should be prohibited state wide, " she said. "It would catalyze a paradigm shift for future generations of Texans to recognize automatically the dangers of such a practice and would reduce motor vehicle accidents and driving fatalities." Her bill would make it illegal to text and drive, with violators facing up to a $99 fine for the first offense and up to $200 for subsequent offenses. This is Zaffirini's fourth consecutive session sponsoring such a bill. A texting ban made it through both chambers in 2011 only to be vetoed by then-Governor Rick Perry. Last session, a similar bill couldn't garner enough support in the Senate. The Senate will reconvene Monday, May 11 at 11 a.m.